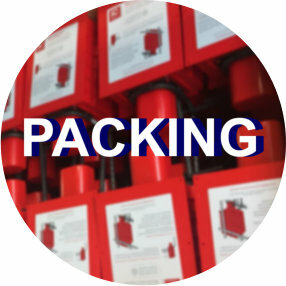 THE PLASTIC MOULDED PARTS CAN BE PACKED AND ASSEMBLED ON SITE Plastic, when used correctly, is long lasting and recyclable. Packing it correctly in materials that can be reused or recycled continues this commitment to reuse and sustainability. Injection moulded items have successfully replaced many metal parts at a fraction of the cost, while boasting a durability which, at times, exceeds the former metal part. With injection mouldings however, lead times can be significantly reduced therefore resulting in a better, efficient and cost effective final product. We can assist in determining the perfect choice of plastic for your application. We proceess and injection mould products from engineering grade plastics, recycled plastics, specialist plastics, or whatever you require from high heat grades to sub zero. Please get in touch to discuss what may be suitable. 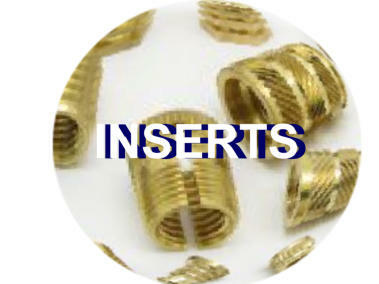 We can injection mould parts with metal inserts, or press fit inserts, whichever is best for you. 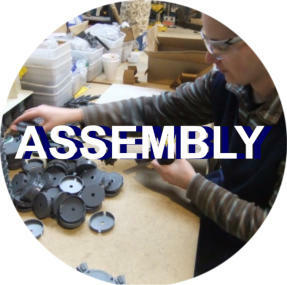 To ease your burden, we can assemble, rivet, label, barcode and pack in boxes or on pallets as required. If you have other specific finish requests, please let us know and we will comply. Whether it is point of sale packaging or bulk pack, we can ensure best value and high environmental standards, always aiming to recycle and renew.